Emma Calin, Romance novel and gritty short story writer has now turned her hand to children’s fiction. 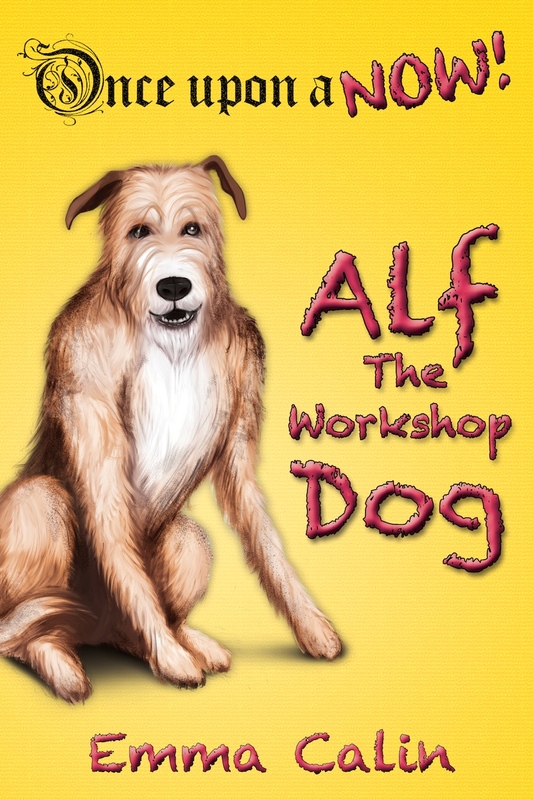 The first in Emma’s series of modern-day fairy stories ‘ALF THE WORKSHOP DOG’ has its debut on Amazon this week in print, Kindle e-book and audio book formats. This chapter-book story tells of a real-life dog who works in an inner-city garage with a bit of magic and adventure thrown in. Anime and manga artist Miko Abellera has created beautiful illustrations to bring the story to life. The story is sprinkled with modern magic – QR codes link to bonus features such as video clips, music, photos and downloadable colouring pictures. This book is for young readers (reading age seven and up) or adults to share with younger children. plus for up to date news….